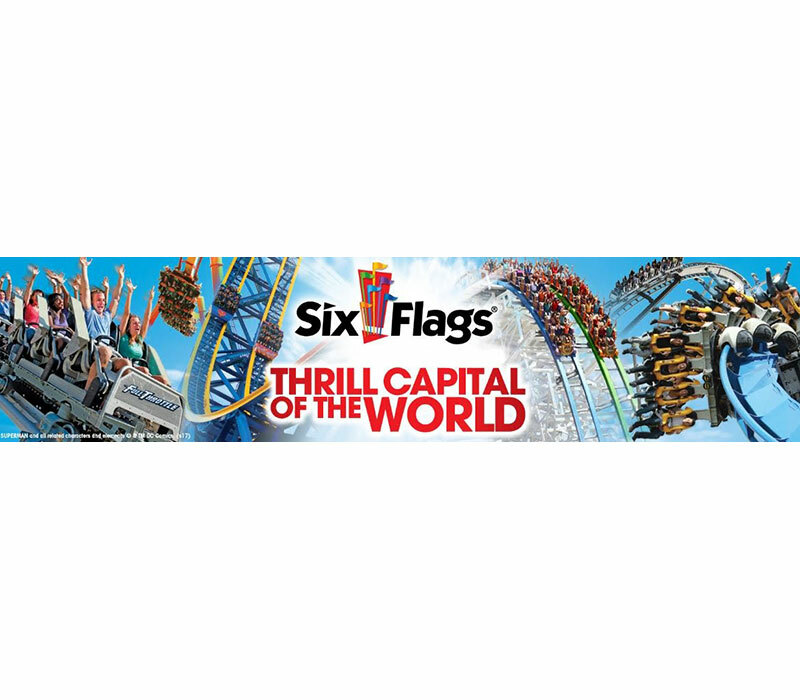 Six Flags Entertainment Corporation is an amusement park corporation based in the United States. 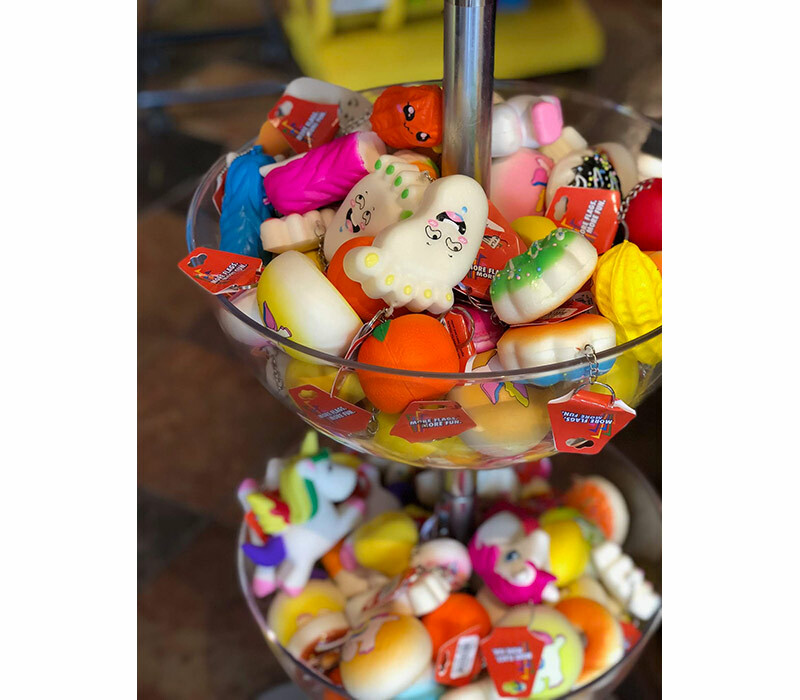 It is the largest amusement park company in the world, and includes theme parks, thrill parks, water parks, and family entertainment centers. 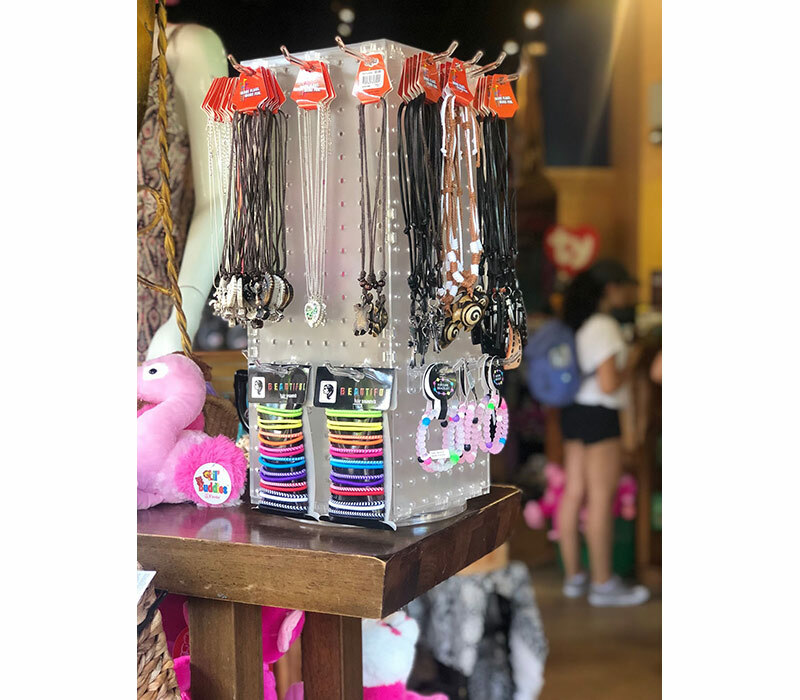 Six Flags was looking for a multi-tier display to hold a lot of product in their gift shops. They also wanted a display for the counter near the cash wrap. They wanted something sturdy and kid friendly. Azar’s Four-Tier Bowl Floor Display, item #751404, and Azar’s 4-Sided Counter display, item #703385-CLR, was exactly what they were looking for. 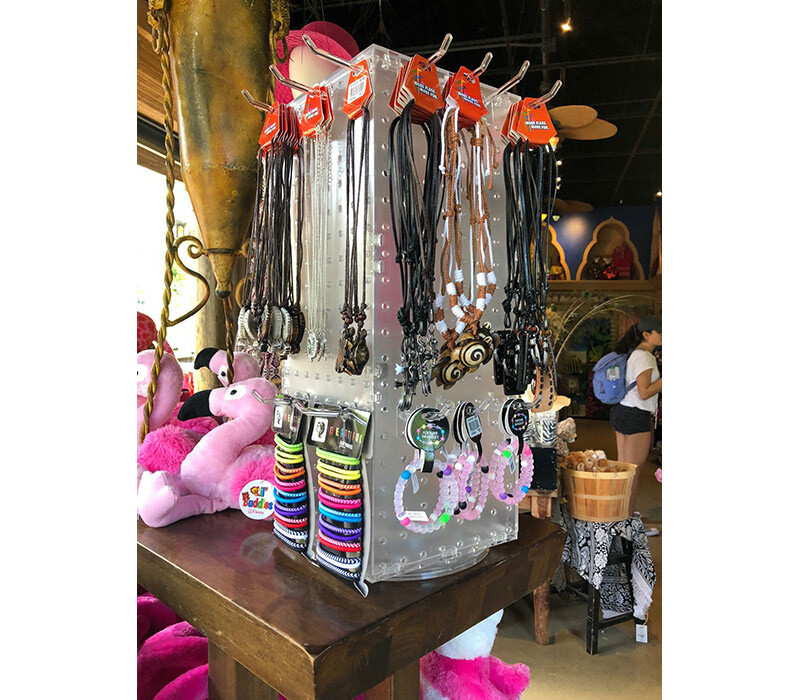 The counter display is revolving and versatile to display many different jewelry items. Azar’s Bowl Display is the perfect solution to display a variety of products. 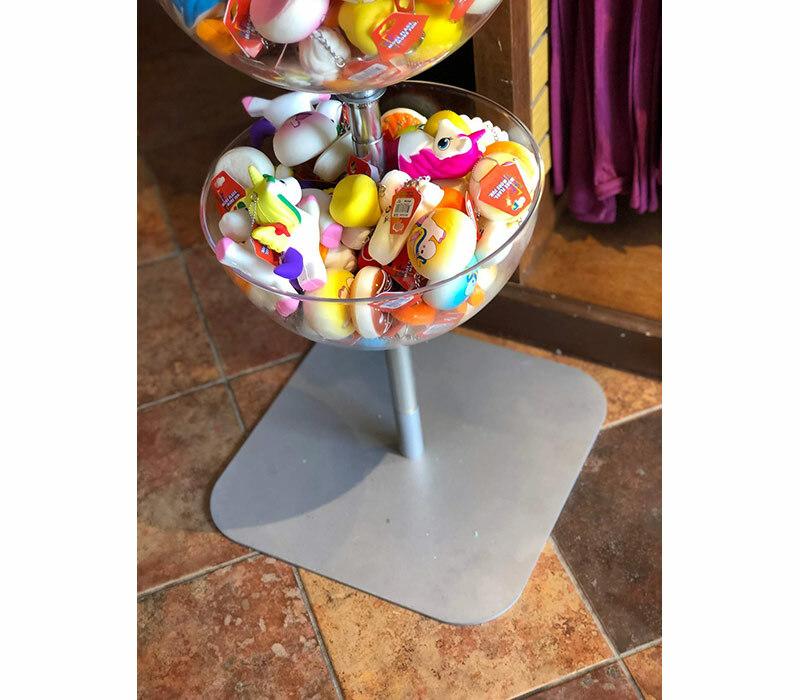 Six Flags currently uses the display for an assortment of squishy toys. The design of Azar’s transparent bowls, grabs the customers attention, being able to see all the colorful items inside. 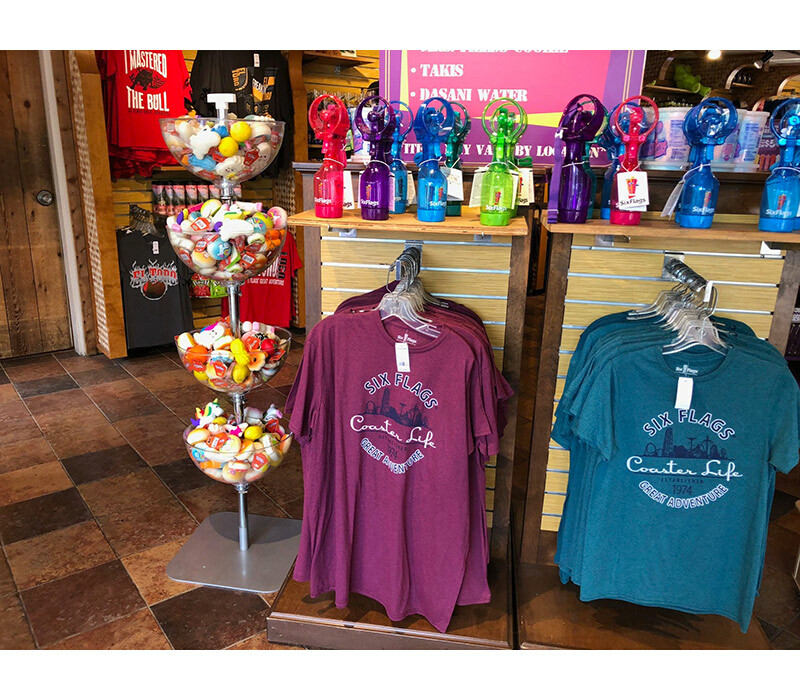 Kids often run into gift shops full of joy and excitement, and this bowl display makes kids want to delve into the bowls to find the perfect souvenir to bring home! The metal base is sturdy and durable for high traffic areas. 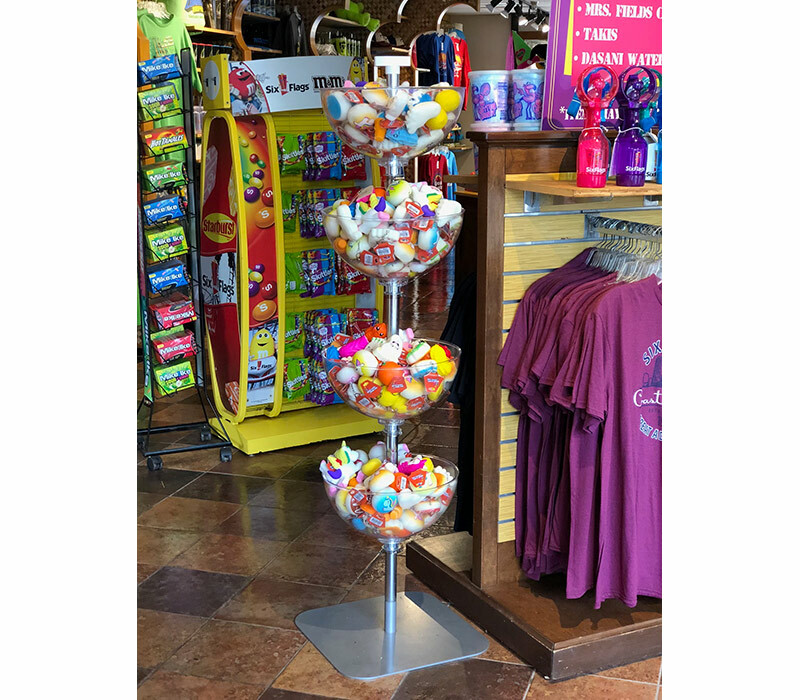 Azar’s Bowl Displays are ideal for keeping products neat and accessible to the customer! Drop Shipped to multiple locations throughout the USA. In stock and shipped out in 1-2 days.